After a harrowing week of bushfires burning across the region, Member for Flynn, Ken O’Dowd returned from parliament in Canberra to support his electorate. Taking special leave last week Ken and his team have been on the ground visiting the fire-affected communities. 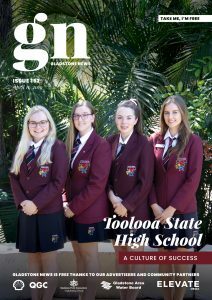 “I am thankful for the tireless work of volunteer firefighters and other emergency personnel who have been battling the bushfires since last weekend,” Ken said. 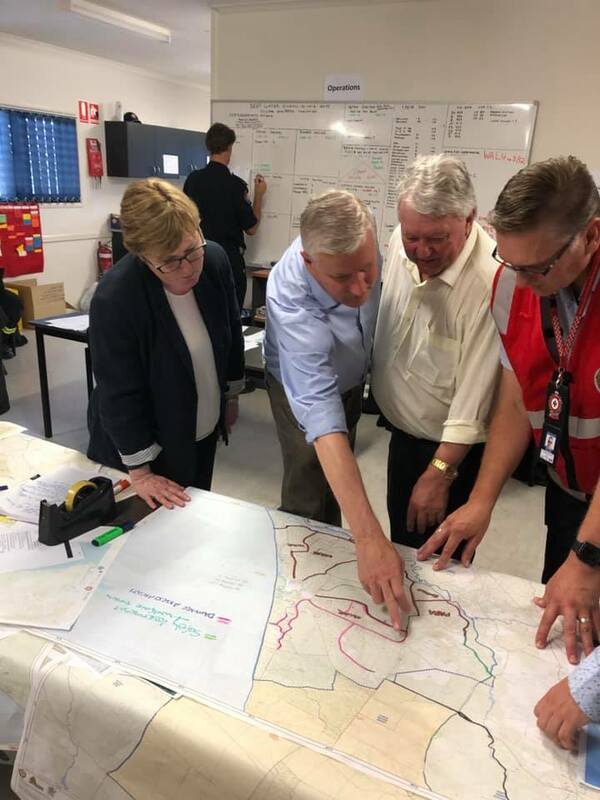 On Saturday, Acting Prime Minister Michael McCormack, Assistant Minister for Home Affairs Senator Linda Reynolds, Senator Matthew Canavan and Ken visited the communities of Mount Larcom, Miriam Vale and the incident control centre at Agnes Water. Mr McCormack said that the visit allowed the group to see first-hand the devastation across Central Queensland. “We are here to listen and here to help,” he said. Ken said that Disaster assistance has been announced to help cover the costs of fighting bushfires in the communities affected in Flynn and surrounding areas. “Disaster assistance has been extended to help cover the costs of fighting bushfires in the communities located within Flynn. In addition, assistance is now available to help impacted primary producers in Gladstone, Mackay and Rockhampton recover from the unprecedented ongoing bushfire situation,” he said. Ken has urged the community to stay safe during these extreme conditions by listening to authorities. Assistance is being provided through the jointly funded Commonwealth-State Disaster Recovery Funding Arrangements (DRFA) and is in addition to the assistance already available for communities in Central Queensland. Assistant Minister for Home Affairs Senator the Hon Linda Reynolds, who has responsibility for Commonwealth disaster assistance, said the bushfire situation in Central Queensland has had a significant impact on communities, including primary producers in the region. “The Commonwealth and Queensland governments continue to work closely to support ongoing recovery efforts and identify where further assistance can be provided,” Assistant Minister Reynolds said. Information on disaster assistance can be found on the Australian Government’s Disaster Assist website at www.disasterassist.gov.au.